Design Standards (Chapter 9 & 13 of the Infrastructure Design Manual and the Building Code) impact detention, sheet flow and fill. The City of Houston is considering recommendations from the City’s Redevelopment and Drainage Task Force to Design Standards that will reduce the risk of flood loss for future development and redevelopment. Existing development will be better protected through Capital Improvement Projects, buyouts, home elevations and demo-rebuilds. Currently conducting green stormwater infrastructure study, with the support of Houston Endowment, to determine incentives for private sector, including potential future changes to IDM. For administratively complete redevelopment plans submitted prior to September 1, 2018, required detention will be calculated based on the 2017 Chapter 9 & 13 of the Infrastructure design manual (IDM). Assuming the changes to Chapter 9 & 13 of the IDM are approved, for plans submitted on or after September 1, 2018, required detention will be calculated based on the 2018 Chapter 9 & 13 of the Infrastructure Design Manual. Detention requirements may be addressed in site work plans. Any proposed buildings may be shown on site work plans as impervious cover and as part of the detention calculations, but building plans do not have to be submitted. Drainage plans for plat submitted prior to September 1, 2018, will be reviewed and approved based on the 2017 IDM. However, plans submitted for such a development on or after September 1, 2018, will be reviewed, permitted and constructed based on the 2018 Design Standards, regardless of the date of drainage plan for plat submittal. Public input closed Monday, July 30 @ 5 p.m.
Chapter 9 is the Stormwater Design Requirements Chapter of the City of Houston Infrastructure Design Manual. Chapter 9 includes many of the rules for designing public storm sewer systems and private detention ponds. Chapter 13 is the Stormwater Quality Design Requirements Chapter of the City of Houston Infrastructure Design Manual. Chapter 13 includes many of the rules ensuring the quality of storm sewer discharge into receiving storm sewers. What is the International Building Code (IBC)? The 2012 International Building Code (IBC) and 2006 Houston Amendment are the rules the City has adopted for new buildings and grading (shaping the land). Why is Houston Public Works recommending changes to Chapter 9 and the Building Code? 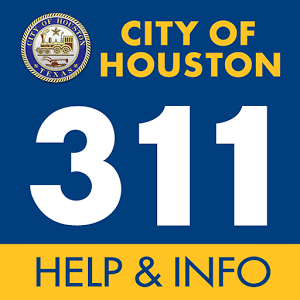 Houston Public Works is working to incorporate the Redevelopment and Drainage Task Force Recommendations into the City’s existing storm sewer design, drainage and home building requirements to ensure that the City’s design standards help to protect new homes from flooding and prevent development from having negative impacts on drainage. What is the Redevelopment and Drainage Task Force? What are the recommendations? The Redevelopment and Drainage Task Force, initiated pre-Hurricane Harvey by Chief Resilience Officer Stephen Costello, has worked to address three redevelopment issues: detention; fill; and encroachments in the city right-of-way. Task force membership is comprised of residents, city and county officials, and members of the engineering, architecture, development, real estate, construction, and green communities. Require all developments (not just those larger than 1 acre) to demonstrate protection of overland sheet flow. Lower thresholds for the requirement for fill and grade permits and engineered grading plans. What is detention? How does detention help reduce flood risk in Houston? Detention is the storage and slow release of stormwater that drains from the rooftops and pavement of a development. Because rooftops and pavement do not absorb stormwater and cause stormwater to run off (move downhill) more quickly, developed areas have a larger volume and rate of stormwater runoff than undeveloped areas. To prevent development from making flooding worse, detention can be designed to store stormwater and release it slowly so that a developed site has a similar rate of runoff as an undeveloped site so that the storm sewer system and bayou, creeks, and streams do not overflow because of the development. Why will ending detention credits for redevelopment help reduce flood risk in Houston? Detention credits recognize the existing rooftops and pavement that are contributing to runoff from an area that is planned to be redeveloped. Under the current rules, detention is mainly required for additional or new rooftop area or pavement. Also, redevelopment is required to provide less detention than new developments of the same size. Requiring redevelopment projects to provide the same amount of detention as new developments will help to reduce the load on City’s storm sewer system and ensure that redevelopment does not negatively impact drainage. Why is protection of sheet flow important for reducing flood risk in Houston? Sheet flow is the shallow flow of stormwater run-off across gently sloping land to a receiving catch basin, detention pond, bayou, creek or stream. Requiring all developments, regardless of size, to prove that the development is not impacting or impending (blocking or slowing down) sheet flow helps make sure that drainage is not negatively impacted in the area. Is the City considering elevation requirements for homes outside of the 500-year floodplain? While the City already has requirements for the height of new homes outside of the 500-year floodplain in its building code, the City is carefully reviewing flooding information to determine if the existing requirements adequately protect structures. Based on review of all available flooding information, the City may recommend a change to these requirements in the future. Will I have to elevate my existing home? Right now, there are no proposed changes to elevation requirements outside of the 500-year floodplain. If a change is made in the future, only new homes will be affected by any change to the minimum home elevation rules. What does Administratively Complete Plans mean? Residential plan submittals are considered to be administratively complete when HPC is in receipt of all required drawings, documents, worksheets and forms as outlined on the Residential Prerequisite Checklist (Document 1301). Commercial plan submittals are considered to be administratively complete when HPC is in receipt of all required drawings, documents, worksheets and forms as outlined on the Commercial Prerequisite Checklist (Document 1105). When will approved changes take effect? Any approved changes to Design Standards (Chapter 9 & 13 of the Infrastructure Design Manual and Building Code) will become effective September 1, 2018. Any administratively complete plans submitted for review prior to September 1, 2018, will be reviewed based on the 2017 Design Standards. Any plans that are submitted prior to September 1, 2018, that are not administratively complete, or plans submitted on or after September 1, 2018, will be reviewed based on the 2018 Design Standards. Only the scope of work included in plans submitted or approved prior to September 1, 2018, may proceed under the provisions of the 2017 Design Standards. Changes to previously approved plans will be reviewed as outlined above.